WHERE – Davis Islands – 220 East Davis Blvd. WHAT – Tampa’s hidden treasure on Davis Islands serving American style cuisine, burgers, sandwiches, fish, pasta, salads and bread so good you’ll order an extra basket near the end of your meal just so you can have an excuse to take some home in a to-go box. WHEN – Lunchtime – Looking for quick food that isn’t fast food? 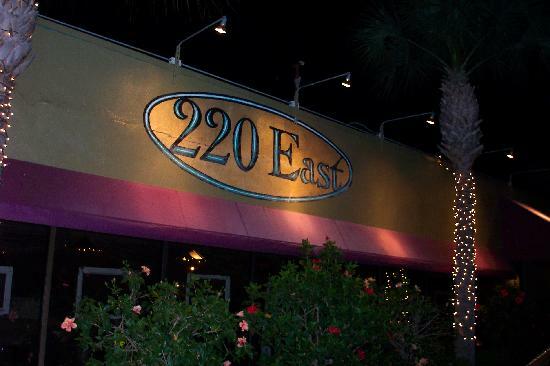 220 East offers a daily “Quick Lunch” of specially prepared favorites like ½ roasted chicken, lasagna and quiche. WHY – Visit 220 East because the “home cooked” meals that come out of your microwave are starting to get old. The food is quality and the prices are right. WHO (You should take) – This is a great spot to bring a date if you aren’t sure what you should be spending or wearing. The menu and the atmosphere is the perfect blend between quaint, fancy and delicious making it perfect fine dining without all the fuss.